Along with the withholding of funds from the Palestinian Authority, the expansion of the dreaded settlements seems to be Mr Netanyahu’s response to the UN Palestine vote. The US condemns the settlements, but mere words from the Whitehouse are not going to change anything, and Mr Netanyahu knows that the Whitehouse is not going to oppose him with anything more than mere words. WASHINGTON (Reuters) – The United States on Mondayreiterated its opposition to new Israeli settlement activity on occupied land including in the site known as “E1”, which it said could be especially damaging to efforts to achieve a two-state solution to the Israeli-Palestinian conflict. “The United States opposes all unilateral actions, including West Bank settlement activity and housing construction in East Jerusalem, as they complicate efforts to resume direct, bilateral negotiations,” State Department spokeman Mark Toner said in a statement. Israel indicated in Monday it had no plan to backtrack on a settlement expansion plan that has drawn strong international condemnation and includes “preliminary zoning and planning work” for settler housing in the so-called “E1” zone east of Jerusalem. “We have made clear to the Israeli government that such action is contrary to U.S. policy,” Toner said in his statement, which urged both Israel and the Palestinians to cease unilateral actions and take steps to return to direct negotiations. Israel announced plans to build 3,000 more homes in the occupied West Bank and East Jerusalem on Friday, a day after the U.N. General Assembly granted de facto recognition to Palestinian statehood over Israeli and U.S. objections. Tags: east jerusalem, israeli palestinian conflict, mr netanyahu, palestinian authority. Filed under Israel and Palestine, israel and palestine articles, israel and palestine conflict, map of israel and palestine by Father Dave on Dec 4th, 2012. Comment. Episcopal Bishop implores Presidential Candidates to put Israel-Palestine on the agenda! As each of you prepares for the two remaining presidential debates, I write to urge you to use the debate forum to articulate strong support for a just and peaceful resolution to the Arab-Israeli-Palestinian conflict, as well as a clear plan for how you would work to support that goal in the next four years. While the volatile political nature across the Middle East has emerged as a key theme in this year’s campaign, I am concerned by the relative absence of discussion of a conflict that is central to that region’s future. This week Palestinian leaders have signaled their willingness to consider a return to the negotiating table, and it will be vital for the next President to prioritize the re-launch of the peace process and to articulate a clear vision for how American diplomatic leadership can assist and encourage negotiations. Support for a two-state solution is the shared policy of the United States government, the government of Israel, and the Palestinian National Authority. The contours of such a solution should be clear to all: a secure and universally recognized Israel, the homeland for the Jewish people, standing alongside a viable, contiguous, and independent Palestinian state with a shared Jerusalem as the capital for each state. Despite widespread recognition that a solution should reflect this goal, progress toward it has remained elusive. In the meantime, the level of strife in the conflict has grown. 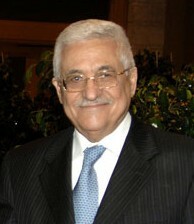 Several current trends give significant cause for alarm, including the threat to Israel’s security from others in the region, most especially a nuclear Iran; continued Israeli settlement building, particularly in and around Jerusalem, at a pace and pattern that complicates the territorial contiguity of a future Palestinian state; unacceptable levels of violence on all sides; and the humanitarian disaster of the Gaza Strip. Each of these complicates the task of peace negotiations, and each passing day makes a final solution more difficult to achieve. While it remains fundamentally true that only direct bilateral negotiation between Israelis and Palestinians themselves can bring about a just and lasting peace, history is clear that American political leadership has the power to play a catalytic role in supporting the work of peacemakers. As you present your foreign-policy plans to the American people, I urge you to discuss specifically how you would work with our nation’s partners in the Quartet for Middle East Peace to support the resumption and successful completion of negotiations. I urge you to be as specific as possible, considering not just the complexities of the issues to be resolved by the parties, but also the impact of such factors as the upcoming Israeli elections, Palestinian political division, rising unrest and extremism in the region, and the tragic humanitarian dimensions of the conflict. I believe that the next American President has an opportunity and a responsibility to help make this vision of reconciliation a reality. The peace and stability of the region, the safety and human dignity of those who live in the midst of this conflict, and the moral character of our own nation all require the full engagement of the United States and its President in the resolution of the conflict. Would that we were again known as builders of peace on the global stage! 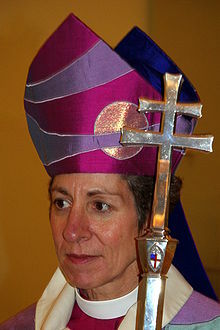 Tags: israeli palestinian conflict, peace process, presiding bishop katharine jefferts schori. Filed under Israel and Palestine, israel and palestine conflict, israel and palestine religious conflict by Father Dave on Oct 14th, 2012. 1 Comment. On Tuesday, the United Church of Canada (UCC) will vote on the Report of the Working Group on Israel/Palestine Policy, which includes a church-wide boycott of goods from Israeli settlements. That report, sadly, has failed to grasp what’s really at stake in this decision. A boycott of Israel launched in any form would put the United Church outside the genuine peace movement and the Canadian consensus on the Israeli-Palestinian conflict. As hurtful as this would be to the Jewish community, it pales in comparison to the long-term damage it would cause to the reputation of one of Canada’s foremost voices in civil society: the United Church itself. Granted, the church has removed a disturbing statement from the original report that the deepest meaning of the Holocaust was the denial of human dignity (and posits a moral equivalence with the challenges faced by Palestinians). Yet the report still calls on the UCC to “acknowledge with deep regret” its past policy of asking the Palestinians to recognize Israel as a Jewish state. What this move would achieve is anyone’s guess. But the notion that the Palestinians can continue to deny Israel’s legitimacy as a Jewish state (as it was explicitly affirmed by the UN’s 1947 partition resolution) only relieves the Palestinian leadership of the duty to reconcile with its neighbour – and with reality. No less disturbing is the report’s thesis that the occupation is “the primary contributor to the injustice that underlies the violence in the region,” that settlements are the chief obstacle to peace, and that Israel alone must be pressed to resolve the conflict. Put aside that the Arab-Israeli conflict began in 1948 (decades before settlements existed) and that the violent repression in Syria and throughout the region has nothing to do with Israel. On the issue of settlements, we have history as our guide. In 1982, Israel withdrew every last settler from the Sinai after securing a peace agreement with Egypt. Both countries have since benefited from peace. In 2005, Israel withdrew every settler from Gaza as a unilateral gesture without a peace agreement. Civilians in southern Israel have since been targeted by some 10,000 missiles and mortars from Hamas and other terror groups in Gaza. History is clear. Israeli withdrawals must include peace and security guarantees signed by Israel’s neighbours, as per international law under UNSC Resolution 242. It’s astonishing that Israel’s removal of thousands of settlers from the Sinai and Gaza is not mentioned once in the UCC’s report – despite “settlements” appearing no fewer than 54 times. That “terrorism” is mentioned once and “Hamas” and “Hezbollah” receive no mention at all speaks volumes to the report’s lack of balance. Indeed, it reflects a minimization of key obstacles to peace (including anti-Jewish incitement, continuing terrorism, and yes, Hamas – the archetype of Arab rejection of the Jewish state). Peace will come only through negotiations and painful concessions by both Israelis and Palestinians. This is the consensus among most Canadians and across the political spectrum (the NDP, under both Jack Layton and Thomas Mulcair, firmly rejected boycott, divestment and sanctions efforts). No doubt this reflects the majority of UCC members, who would hope to play a constructive role in supporting the legitimate aspirations of both sides. Should a small minority of boycott advocates succeed, the greatest resulting injury would not be to the relationship between the UCC and the Jewish community, but rather between the UCC and its own congregants. The framework for resolving the Arab-Israeli conflict described above is also upheld by the mainstream peace movement, which is engaged in a myriad of projects to bring both sides together. To contribute to this movement, one need not refrain from criticizing particular Israeli policies (as Israeli peace activists can attest). One must simply commit to advancing peace through balance, mutual obligations and reconciliation – rather than coercion and the singling out of one side for blame. Unfortunately, were the UCC to launch a church-wide boycott, it would alienate one of Canada’s most prominent churches from this important cause. In so doing, the church would not only be turning away from Canada’s Jewish community, but ultimately from the UCC’s own tradition as a leading voice in civil society for fairness, moderation and peace. Shimon Fogel is CEO of the Centre for Israel and Jewish Affairs, the advocacy arm of the Jewish Federations of Canada. Tags: israeli palestinian conflict, israeli settlements. Filed under Israel and Palestine, israel and palestine articles, israel and palestine religious conflict by Father Dave on Aug 15th, 2012. Comment. Tags: boycott, human dignity, israeli palestinian conflict, jewish affairs. Filed under Israel and Palestine, israel and palestine articles by Father Dave on Aug 15th, 2012. Comment.